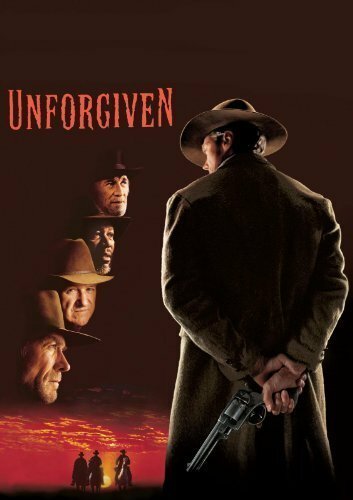 Synopsis: Retired Old West gunslinger William Munny reluctantly takes on one last job, with the help of his old partner and a young man. Did You Know? The main theme was written by Clint Eastwood. Quotables: MUNNY: It’s a hell of a thing killing a man: you take away all he’s got and all he’s gonna have. I liked this movie the first time I watched it, but watching it again, I don’t really care for it. Nothing seems to happen, but it’s chalk-full of your typical western archetypes. Clint Eastwood is the gunslinging curmudgeon who’s misunderstood. Morgan Freeman is the sage sidekick whose death serves as the catalyst. Richard Harris is a British nancy who reaffirms American patriotism. The women are sexual objects and dainty damsels. Gene Hackman is the harsh, corrupt sheriff. And Jaimz Woolvett is the all-too-eager youngster with something to prove and nothing to lose.